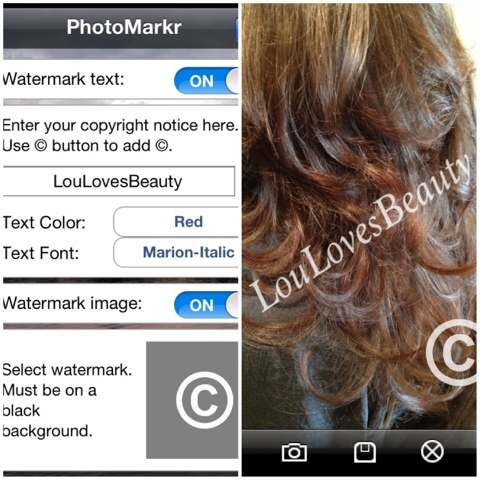 Lou Loves Beauty: Mobile Blogging - How to blog while on the go. Mobile Blogging - How to blog while on the go. We all have busy lives and sometimes finding time to sit at a computer or laptop is hard. Most bloggers put pressure on themselves to get as many blog posts out in a week as they can, this can be stressful and take the fun out of blogging. If you are one of these people then help is at hand! Nowadays there is an app for everything and this includes blogging. Whether you are on your iPad3, iPhone or any other smart device there is an app that can help you write, edit and personalise your blog post as well as staying in touch with your readers and fellow bloggers. Below are all the Apps I enjoy using and what's even better is they are all FREE! This has to be my favourite app and I have been using it from the very start. Its simple to use and can make blogging on the go a breeze. I find it hard to get a chance to sit down at my computer. I'm either at work or looking after my little one, and if any of you have children you will know how hard it is to get 10-20 mins to yourself. This app enables me to write a post and upload pictures from my photo album within minutes. I tend to draft all my posts in the app and then finish them off on the computer. I can write a few paragraphs, close the app and then go back when I next have 5 minutes to myself and finish off the post I was working on. It really makes blogging so much easier for me as I can write on the go and don't have to dedicate hours of my time to sitting at a computer. This is the perfect platform to read blogs on, whether your on the train or on your lunch break, this app is so easy and convenient to use. Since the latest scare that GFC is going, most bloggers have now resorted to this app as a way to share and read posts, I myself use this more than Google reader and check it throughout the day to keep in touch with the latest blog posts from fellow bloggers. Following people is easy too, most bloggers have the bloglovin widget on their blog, so all you have to do is click, and their blog will now appear in your news feed so you can stay up to date on your most loved bloggers posts. I'm sorry to say that I don't have a fancy camera and use my iPhone to take all of my blog photos on. Even though the camera is good on my phone, its not great and I do need to edit them a little to make them look more appealing to the eye. This is where is app comes in! Its super easy and quick to use and has lots of features to make your photos look the best they can without the use of a high tech camera. 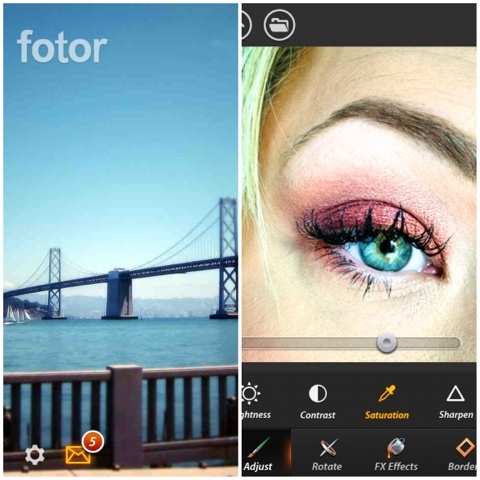 You can adjust the brightness, contrast, saturation, crop, create borders and collages as well as special effects to jazz up the simplistic of photos. This app has really changed the way I look at photos, I love changing and editing them and find half of my enjoyment from blogging is doing this and being creative in this way. I couldn't talk about "blogging on the go" without mentioning social media. If you're reading this right now and don't already follow me, the chances are you have stumbled across this post from one of the main social media sites. Using social media while blogging is, in my mind essential. Its a great way of getting your blog out there for people to read, as well as finding other bloggers to socialise with and learn from. I have met some amazing people through these sites and discovered new brands and products just by interacting with people in this way. On twitter there are many group chats that you can get involved with, for Beauty bloggers use the hashtag #bbloggers, for Fashion bloggers use #fbloggers, Lifestyle bloggers #lbloggers, Parenting bloggers #pbloggers and for fashion, beauty and lifestyle bloggers use #fblchat. Instagram is another great site to use and has recently become my latest addiction. Its basically twitter in picture form, you upload photos and share them with others using hashtags. I often link my Instagram posts with my twitter account so all my followers can see what I'm up to. You can post any sort of pictures you like ( within reason of course) and edit them so they look super snazzy. Post pictures of new products, looks you have created or even what you're having for dinner! Just have fun and find new people that have the same interest as you. Facebook is also great and there are hundreds if not thousands of groups dedicated to blogging and ways to share your posts. Search for "UK Fashion and Beauty Bloggers", UK Bloggers", "FBL: Fashion, Beauty and Lifestyle Bloggers", and "GIG Bloggers" which stands for Girls Inspired Group. 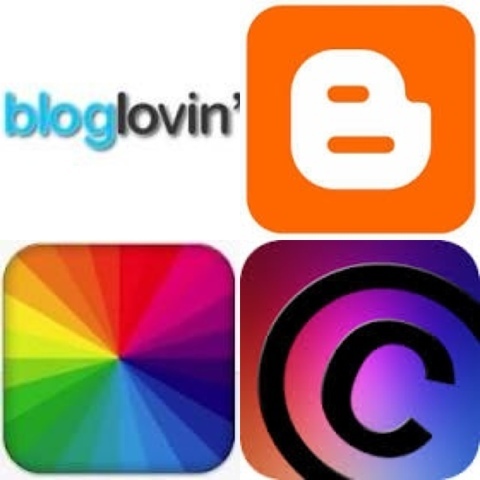 These groups will help you promote your blog aswell as finding new ones to follow. 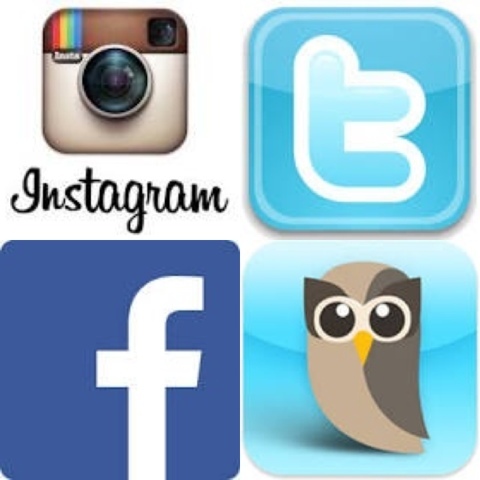 One great way to use these sites even better is to use Hootsuite to schedule your posts and tweets. If you find it hard to be on your phone throughout the day, using this site means that you can still share and interact with other bloggers anytime, any day. All you have to do is write the post and schedule it for the times and dates that you want it published, its also fantastic for interacting with people that are in different time zones to you, you don't have to stay up late just to tweet or update you're status. You can link it to your Facebook, Twitter and Linkedln accounts, if you haven't tried it I would really recommend it! What apps do you use to blog on the go, I would love to know. I'm sure there are loads more out there just waiting to be discovered! So glad this post has helped you Hun. I use all of them daily, and have helped me so much! Some fab tips, thank you for sharing! Ooops sorry I didnt mean to put that link in there!! !